Nowadays a lot of research work aimed to investigate all features and properties of different adult stem cells isolated from human organs and tissues performed in the Center of cells technologies. 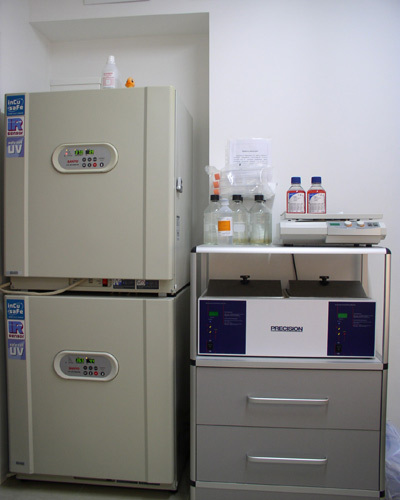 Besides, different stem cell treatment methods are designed in the Center's laboratories. Mesenchymal stem cells (MSC) are the most perspective material to be applied in cell technologies and tissue engineering. MSC have unique features and can be isolated from different adult tissues. 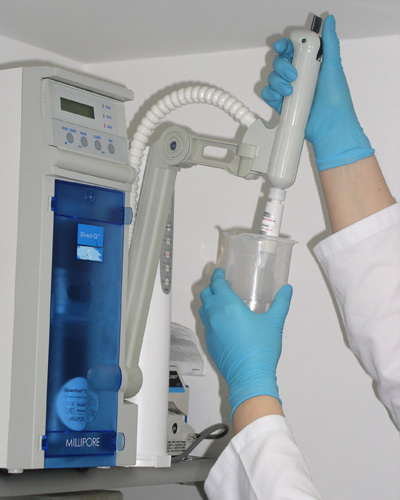 The Center of cell technologies has developed methods of MSC of diverse origin isolation (bone marrow, adipose tissue, thymus and so on) and the methods of their cultivation. 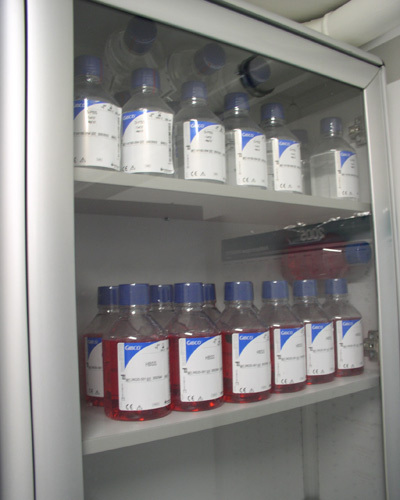 The National stem cell and fibroblasts bank was based on totally characterized stem cell lines. Nowadays the investigations of MSC features have been actively performed due to their application in organs and tissue regeneration, besides, in different disorder treatments. Thus, the methods of early stage joint disease, as well as the in vitro bone tissue graft fabrication methods have been worked out. Further investigations are focused on the development of technologies that are based on application of this cell material for endothelial, muscle and other tissues restoration. Bone marrow MSC osteogenic cell line differentiation, Alizarin Red staining, x200. Bone marrow MSC osteogenic cell line differentiation, von Kossa staining, x200. The Center of cells technologies conducts active research work concerning obtainment and cultivation of endothelial cells. One of the objects of this research was human umbilical vein endothelial cells population (HUVEC). This scientific work would help to develop different types of cardiovascular treatments. Cardiovascular diseases are the most abundant cause of disability and premature death of many people. Vessel-like structures obtainment is a sort of a unique procedure, which would allow making in vitro biological equivalents of different tissues with already developed blood vessel network. 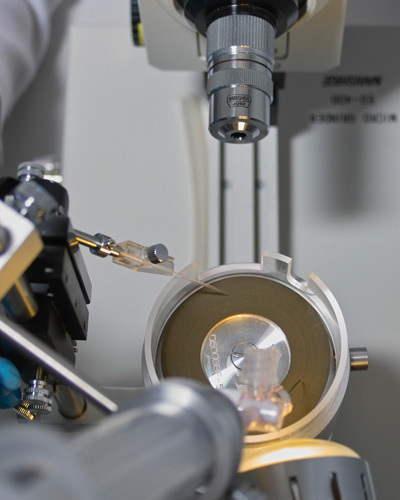 This technology will help to minimize the time of tissue engraftment, so it would be a breakthrough for modern transplantology. HUVEC population, phase contrast, x 100.
structures by HUVEC, phase contrast, x 100. One of the most perspective scientific programs of the Center of cell technologies is the investigation of the epidermal stem cells' potential to form three-dimensional skin equivalents or to treat alopecia of different etiology and to remove scars and cicatrices. Epidermal stem cells (EpSC) are situated in the basal (the lowest) epidermal layer on the border with derma. Besides epidermal layer regeneration they also can restore hair follicles. According to diverse data EpSC represent 1-10% of all basal layer cells contents. 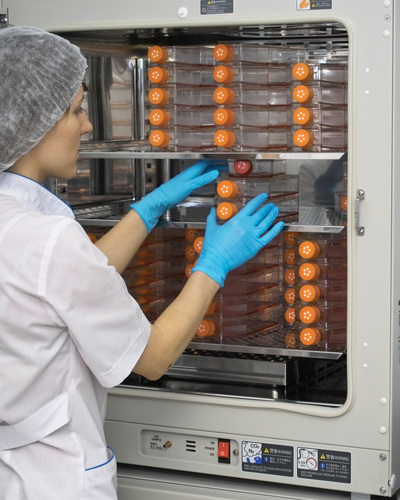 Therefore Center's researchers develop various EpSC cultivation systems to obtain their necessary quantity and to isolate the homogeneous cells population. EpSC colony, phase contrast, x 200. 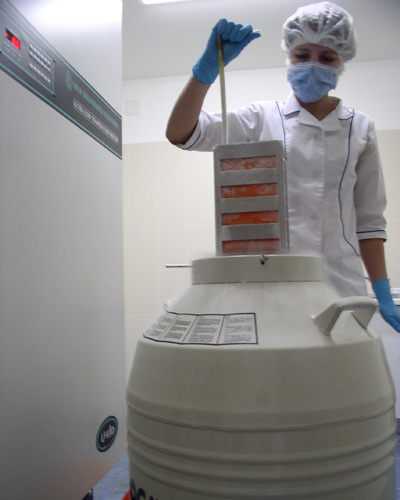 One of the first-priority Beauty Plaza scientific department research areas is spermatogenesis investigation. The regulation of this biological process is really complicated. Male infertility overcoming, study of consequences of harmful environmental factors, including the time factor, chemotherapy, besides, improvement of artificial insemination methods, cryopreservation, transplantation of germ cells — these are just ones of the most topical practical problems of medical-biological and social significance. According to these facts, a comprehensive investigation of spermatogenesis is obvious. Our researchers develops techniques of spermatogenic stem cells (SSC) isolation, cultivation, cryopreservation, besides, the potency of SSC as a source of pluripotent cells for regenerative medicine are investigated. Since 2004 on the basis of Scientific center of Beauty Plaza the new scientific school has been developed, concerning autologous embryonic stem cell obtainment. This method is based on somatic cell nuclear transfer method and allows getting cell mass avoiding oocyte fertilization and embryonic development, that doesn't contradict to public mental and ethical standards. 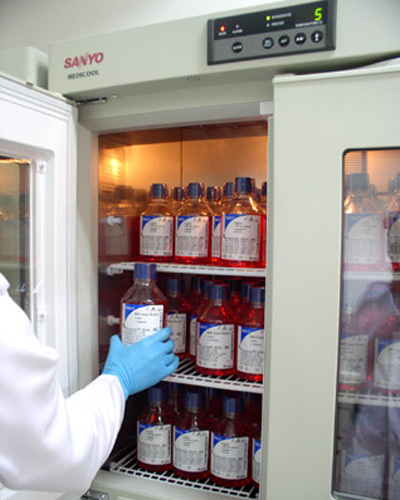 Obtained autologous embryonic stem cells have a wide range of potency to tissue regeneration. They have the same genetic number as donor organism, that prevents all immunological reactions after their transplantation. This research assumes the development of new techniques for many disease treatments that nowadays comprise only the compensatory or supportive therapy (cirrhosis – liver destruction, I type diabetes mellitus – destruction of pancreatic beta-cells, neurodegenerative diseases and so on). Oocyte enucleation, phase contrast, x100 Somatic cell genetic material transfer phase contrast, x100.